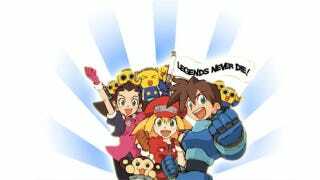 Despite a push by tens of thousands of fans to revive recently canceled Capcom game Mega Man Legends 3, the Japanese developer tells Kotaku that they have no plans to resume development. "We are aware of the fan created Facebook page requesting that we resume development of Mega Man Legends 3," Capcom spokesman Brian Keltner told Kotaku Monday afternoon. "While Capcom has a built a strong relationship with its community and values their feedback, Mega Man Legends 3 development has officially ceased without plans to resume development." Keltner also pointed Kotaku to the game's Dev Room where the team explained the decision last month. "There are tough realities in this industry that are largely left unpublicized for a good reason—because they're tough," Capcom community liaison Greg Moore wrote. All games go through a multi-stage approval process, but most games are not brought to the public's attention until that final approval has been met. With Mega Man Legends 3, exposing the fans to that process was part of the project's core concept—to show everybody what it really means to create a game. We were all in it together here, for better or worse, and now together we must accept the outcome that many games ultimately face." Shortly after news of the game's cancellation hit, fans created a Facebook page to try and convince Capcom to continue developing the game. The goal of the "100,000 Strong for Bringing Back Mega Man Legends 3" is to have 100,000 Facebook users "like" the page. Currently 36,713 people like the page. Keltner's comments today, in response to questions about putting the game back into development in light of so much fan support, seems to nix any hope of a fan-driven grass-roots movement changing Capcom's mind about the future of the title.